A journey into the heart of tango. Our experienced organizers, Roberto Pena & Jacklyn Shapiro (Four times US National Argentine Tango Finalists & Instructors), will immerse you into the world of tango. Roberto and Jacklyn have custom-tailored this tour to enhance your tango skills while giving you the full Buenos Aires experience. Roberto (an Argentine native) and Jacklyn have traveled multiple times to Buenos Aires to compete in the World Championships of Tango and have performed and studied with top masters. This specially designed tour enables you to learn from top world-renown tango instructors. Dance at the most popular milongas. Admire tango professionals dance in live theatre. Eat authentic Argentine cuisine. Tour and enjoy local hot-spots and city attractions and much more. With the expertise of Jacklyn and Roberto, you will feel the comfort of knowing that everything has been carefully crafted for a full-blown tango experience, so you can enjoy the companionship of other like-minded tango aficionados joining the tour. 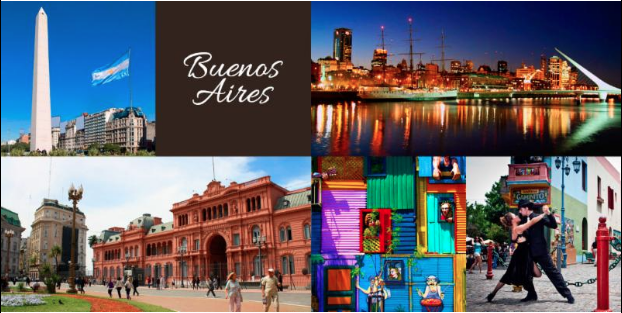 Don't hesitate, this once in a lifetime journey will take you into to the heart of Buenos Aires, where you will explore authentic Argentine Tango during the most important and longest standing tango festivals in Buenos Aires. - Tango shoe and clothing shopping! Amazing Experience with Great Local Guides! PLEASE INQUIRE FOR PRICE DETAILS NOW! FILL OUT FORM BELOW IF YOU ARE INTERESTED IN TRAVELING WITH US!